Whether you're doing a presentation for a university lecture or an important board meeting, you'll likely use PowerPoint to present notes and ideas. However, you may need to take information from documents that are in PDF format, meaning you'll need to convert PDF to PowerPoint so you can add this information to your presentation. 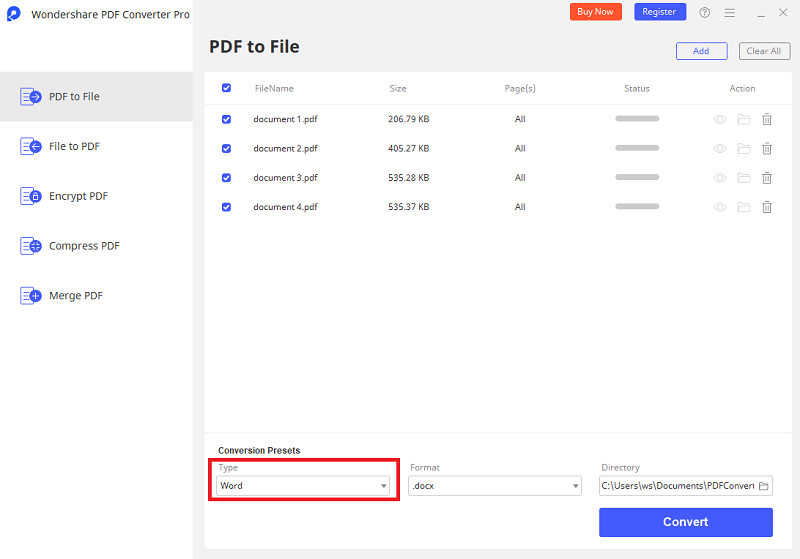 In this article, we'll look at 3 easy ways to covert PDF to PPT with PDF Converter Pro – one of the best PDF to PowerPoint converter tools on the market. 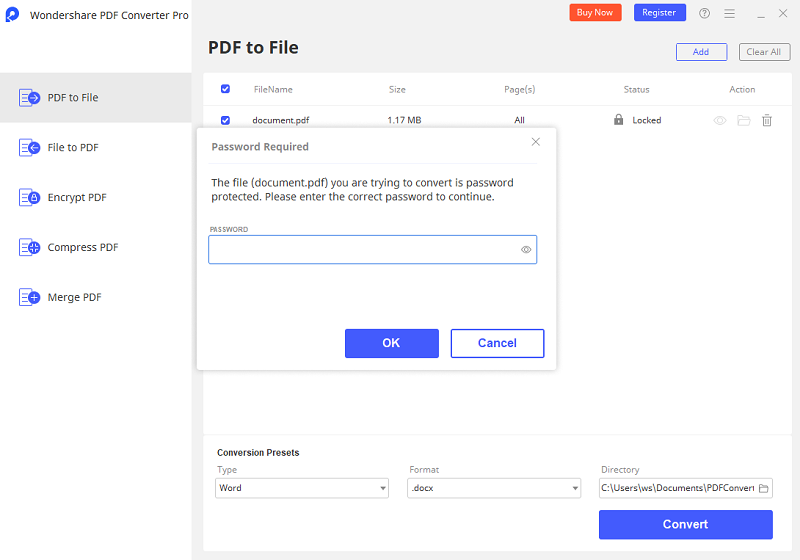 PDF Converter Pro is a professional PDF to PPT converter that lets you convert your PDF files without hassle. It supports output formats like PowerPoint, Word, Images, Excel, EPUB, HTML, Rich Text and Plain Text. This software is built with an OCR plug-in that allows you to convert scanned PDF files to any supported output format mentioned above. It also supports the conversion of protected PDF files. 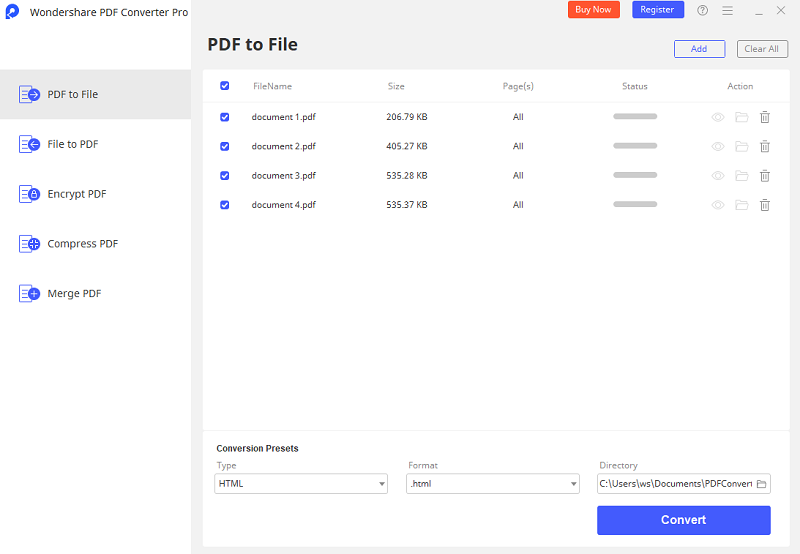 PDF Converter Pro comes with a simplified user interface. It is also a fast and stable program to work with. It is equipped with a partial conversion feature, which allows you to select the page range of files you need to convert. It supports batch conversion of files. Launch the program and drag your PDF into the program. Or you can click on the "Add PDF Files" button. Click the dropdown list under "Output Format" and select "Microsoft PowerPoint". If you only want to convert part of your PDF file, you can select the appropriate page range. Set the properties in this window as required. Then click on the "Convert" button on the bottom right corner when you're ready. First, open the scanned PDF files that you want to convert in PDFelement. The program will automatically detect the files and remind you to "Enable OCR". 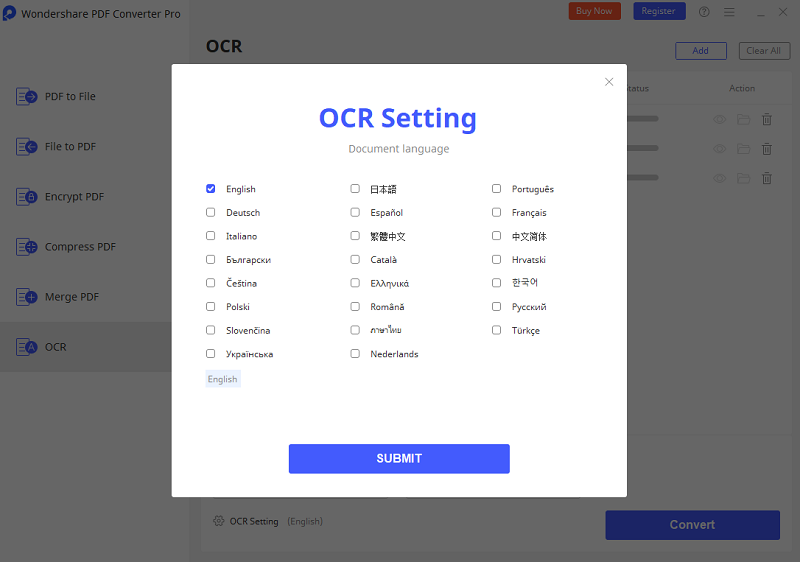 Just select the language and click "Enable OCR". After the PDF file is opened, go to the "Home" tab and click on "To Others" and then "Convert to PowerPoint". A pop-up window will appear to set up the conversion. 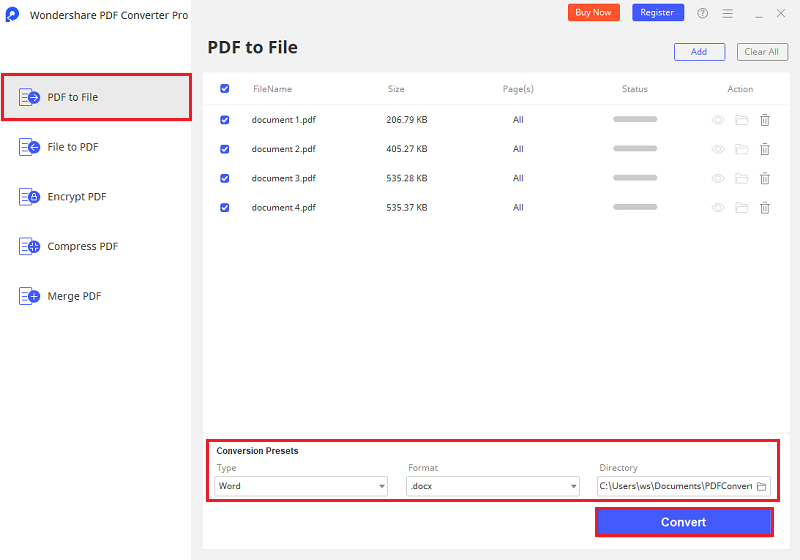 Launch PDF Converter Pro and import your protected PDFs into the program. If the PDF is protected from copying, editing, and printing, you can simply click "Convert" to start the process. If the PDF is protected from opening, you can enter the password first. Within a few seconds, the PDF will be converted to PPT.